Mission Critical Systems » Blog » Are You Safe? Do you know precisely what to do to stay ahead of the criminals? Do you wonder who you can trust to help you sort it out? Too often, that old adage is true: it’s easier to trust the devil you know, than the one you don’t. You can’t. Not anymore. You always have to be one step ahead when it comes to business network security. It is easy to think you’re safe, but think of The Home Depot or Target. They thought they were safe, too. As cybercriminals become more sophisticated, they pose a bigger threat to your business. Did you know that most companies that experience a security breach go out of business? It’s terrifying. Computer network security is crucial to protecting your company from huge losses and liability issues. The list goes on, and it is scary. Your confidential information, everything from tax records to budgeting, client data, planning, employee records, and all sensitive data, is vulnerable. 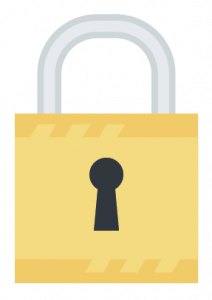 You must do everything possible to make certain your systems are locked down, safe, and impenetrable. If you have an in-house IT department, you can benefit from Outside Eyes, experts who can see what you are too close to identify. Chances are, your IT department is up to their eyeballs keeping your systems running day-to-day. They don’t have the time to be up-to-the-minute conversant in cybercrime prevention. Computer network security and business network security may be an afterthought. In fact, cybercrime is so prevalent that its prevention has become a focused specialty. If you don’t have an IT department, it benefits you to have a team of experts who have your back. It starts with knowing where you stand currently, and what risks you’re exposed to. Once you have a baseline understanding of your vulnerabilities, you can make a plan for prevention. If you are unsure if you need computer network security or business network security, Our Security Assessment will give you an overview of where you stand right now. We will tell where you’re safe, and where your weak spots lie and how to correct them. Protect your business; don’t risk everything you’ve built. Contact us right away at (303) 383-1627 extension 1, or info@itservicescolorado.net to schedule your security assessment. We’re local, we’re certified, we’re easy to work with, and we’re fairly priced. If you’re not absolutely certain your computer network security systems are Fort-Knox-Level-Safe, call us right now. You will rest easier. Mission Critical. We’ve got your back. P.S. Don’t leave any aspect of your business to chance. Request a security assessment today at (303) 383-1627 extension 1, or info@itservicescolorado.net. We promise to not sell or pressure you; there is nothing else to do or buy. Mission Critical. Protecting Colorado Businesses. Call Us Today to Protect Yours.